Jubbal is a tourist hotspot located on the banks of the River Pabbar in Himachal Pradesh, at an elevation of 1901 mt above sea level. The place offers a panoramic view of the natural landscape and it received its independence after the Gurkha War of 1814-1816. According to records, Jubbal was founded by King Karam Chand and was merged with the Indian Territory on the 15th of April, 1948 during the reign of King Dig Vijay Singh. Here is a guide to the scenic town of Jubbal. Jubbal Palace, designed by a French architect, is an attractive and historical tourist destination. Also, known as the 'Rana's Abode', this palace displays Chinese architectural style. An interesting feature of the palace is that its lower portion is made of sandstone. The greater half of the palace is banded in a round shape constructed using deodar timber. A giant wooden door, acts as the main entrance to the place. The palace is furnished with antiques and houses a rich library which consists of a huge collection of Sanskrit and Persian books. The architecture of the modern wing of the palace displays a fusion of Indo-European style. This palace also exhibits ancient artilleries, which, were used by the royal families of Jubbal. Hatkeshwari Temple is a popular tourist destination of Jubbal. According to legend, this temple was built by the Pandavas. However, there also is speculation that the temple was built during the period between 800 and 1000 AD. This temple was later renovated by the Kings of Jubbal in the 19th century. Featuring a Pagoda, a multi-tiered tower-like structure, the temple has two stories. Although primarily devoted to the Goddess Hatkeshwari, the temple premise also has five shrines of various other deities. The idol of the Goddess still remains in its original state as before the renovation. It is visited by devotees throughout the day who come here to seek the blessings of the goddess. Chander Nahan Lake, known as the originating point of the River Pabbar, is a major tourist destination of Jubbal and is nestled at an elevation of 4260 mt above sea level. Located at close vicinity to the Chansal Peak, the lake and its surroundings together create a breath taking view. A difficult trekking route, which leads to the lake, provides ample challenge to adventure enthusiasts. Besides this, the lake offers visitors the opportunity to try their hand at fishing. Khara Pathar, situated at an elevation of 2673.1 mt above sea level and attracts numerous visitors. A natural boulder, shaped like an egg here is referred to as Khara Pathar. The trails and walk ways through the forests are an ideal way to explore the area and relax. A jeep safari leads from Khara Pathar to the Giri Gangra Temple, which is located at close vicinity to the place. By Air: The Jubbal Hatti Airport is the nearest air base from Jubbal. This airport connects Jubbal to Shimla with convenient flights. Though the services from this airport are not completely adequate, visitors can directly reach the destination from the Shimla Airport, located at a distance of 107 km from Jubbal. This airport at Shimla is well connected with the major cities of the country namely, Dehradun, Mumbai, and Delhi. 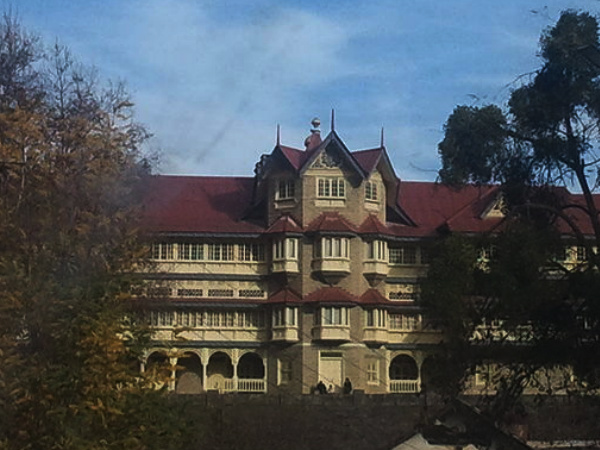 By Train: The Shimla Railway Station is the nearest railhead located at a distance of 90 km from Jubbal. This station is well connected with Delhi, by frequent trains. By Road: Travellers planning to explore Jubbal can also reach the destination by bus. State owned buses are available to Jubbal from neighbouring cities. Private luxury buses are also available from Shimla to Jubbal at regular intervals.